The 4G revolution has brought a new dimension to the internet connectivity we have been using at our home. In sharp contrast to the ADSL networks, the 4G networks have provided us with endless options for faster internet connectivity. The demand for the 4G wireless routers has been growing consistently over the past few years. This has forced the manufacturers to come up with new 4G wireless routers. 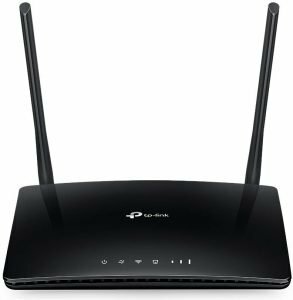 TP-Link has been one of the prominent manufacturers and has been providing a few excellent options for your needs in 4G wireless routers. We will compare two of the best prospects from TP-Link – the TP-Link Archer MR400 vs MR200. Well, the TP-Link Archer MR200 is perhaps one of the best options for your 4G and 3G routers. It can be one of the excellent choices for internet connectivity while on the road or in rural areas where there is no DSL availability. The router supports the speeds up to and offers download rates of up to 150 Mbit per second. The router does not need any installation or configuration requirements. Just insert the SIM card into the device and use the router as a WiFi hotspot. The router comes with a dual band according to 802.11ac: up to 300 Mbit/s on 2.4 GHz and 433 Mbit/s on 5 GHz. If you are using WLAN, you will get the data rates to the tune of up to 733 Mbit/s. The dual compatibility should be one of the excellent options that should make it a great choice. 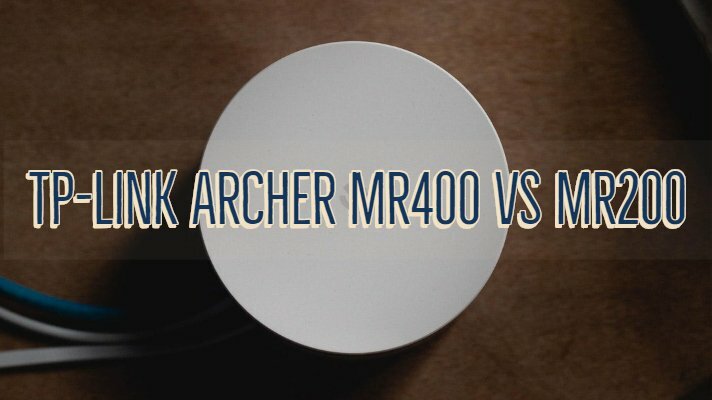 The Archer MR400 is an upgrade to the Archer MR200 from TP-Link. The major difference can be the ethernet cable that should help you connect it to up to four PCs at a time. It looks more pleasant and lightweight in design. The body is a little textured and does not offer any glossy look. However, preventing it from catching fingerprints may be an issue. Moreover, it also picks dust. The connectivity is quite simple and easy to work with. There isn’t any need for configuration, and you need to insert the SIM and use it as the WiFi. The connectivity is a little discreet. You can use the router as a hot spot and have access to the interface of the router by entering the default identifiers. You also have access to the mobile apps for both iOS and Android devices. You also have access to a smart assistant to help you configure your router. The connection wizard enables you to test the connectivity, and once the test is completed, you will get connected. 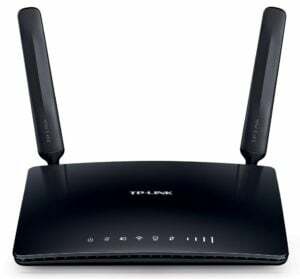 How do the TP-Link Archer MR400 vs MR200 4G Wireless routers compare with each other? Having understood the two routers and their features, how about checking out the differentiating features between the two. We will compare the two 4G Wireless routers based on a few key parameters. This should help us understand the key areas where they differ from one another and make a perfect choice between the two based precisely on the requirements you may have. Regarding looks and appearance, both the Archer MR400 and Archer MR200 are similar in every respect. The top has a couple of indicators for power, WAN, LAN, WiFi, and Signal. They also sport the new TP-Link logo. On the rear side, you will find the two external antennas and other ports. You should see four LAN ports one of which can be used for both LAN and WAN. The routers also have a Reset and an on-off button along with a SIM slot. Please note that the routers support standard SIM card, and if you are using micro or Nano SIM – you need not worry as the products come with micro to standard and nano standard SIM adapter. Obviously, with the similar looks and design, it should go without saying that the routers differ with their features and functionalities. The Archer MR400 is powered by Qualcomm MDM9207 while the MediaTek MT7620A powers the Archer MR200. Of course, that should not be a huge concern, but Qualcomm is treated to be a clear leader when it comes to the processors for routers and smartphones. Most of the other features remain almost similar across both the models. Both the routers support a download speed of 150 Mbit per sec and an upload speed of 50 Mbit per sec. The connectivity options and the cellular networks supported on the two devices are entirely similar. However, the transfer rates would differ considerably on the two routers. On the 2.4 GHz band, the Archer MR400 supports transfer rates up to 400 Mbps while the corresponding number for the Archer MR200 reads 300 Mbps. Similarly, on the 5 GHz band, you will find the MR400 router offering you 867 Mbps, and the MR200 can max out at 433 Mbps. The Archer MR400 is equipped with MIMO 3 x 3 antennas in the 2.4 GHz band and the MIMO 2 x 2 in the 5 GHz band. This is the primary reason for its enhanced performance concerning the transfer rates. Let us compare the two 4G wireless routers side by side to arrive at the top differentiating factors between the two routers. This should help you get an at a glance review of both the routers. From the comparison table above, it should be clear enough that the two routers share most of the specification options between themselves. Apart from an enhanced transfer rate on the MR400, thanks to the inclusions of the MIMO antennas and technology, there are practically no more differences between the two options. They are also close enough regarding pricing and thus tend to be almost equivalent. That was a complete comparison between the two compelling options you have regarding the best 4G wireless routers. The two products share most of the features among themselves and thus choosing one among them should not be a huge concern. However, given the fact that the price difference between the two is not much either, we would suggest opting for the Archer MR400 in comparison to the Archer MR200. Moreover, it is the latest offering – and thus you also tend to have added benefits of the most recent developments. Have you used either of those two routers? If yes, do share your thoughts, experiences, and opinions about the capable 4G wireless routers through the comments here below.